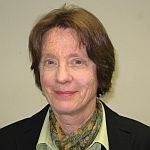 (HOST) March is women’s history month and in anticipation of the Lake Champlain quadricentennial, VPR honors the memory of five women who figured prominently in the history and culture of the Champlain Valley. Today, writer and historian Cyndy Bittinger has the story of Fanny Allen, privileged daughter of Ethan Allen who chose a life of service. (BITTINGER) As we prepare to celebrate 400 years since the discovery of Lake Champlain by the Europeans, we often look to early Vermont settlers for inspiration. An unusual story comes from a study of Ethan Allen, Vermont’s swashbuckling folk hero. He had remarried after his first wife died and with Frances Buchanan, had three more children. Among them was young Frances, or Fanny as she was called. It was said that she had the determination of her father and the beauty of her mother. Her first memories must have been of her father’s large landholdings near Lake Champlain where they raised cattle and sheep. But when Ethan died in 1789, Fanny’s mother moved back to Westminster, taking four year old Fanny with her. Fanny’s mother remarried. Her new stepfather was a wealthy, scholarly physician who personally undertook her education drawing upon an extensive personal library. He did not impose any particular religion on the young girl. After all, her father, Ethan, had written Reason: the Only Oracle of Man, the first anti-religious treatise in America. But Fanny’s parents did expect her to become a lady, capable of entertaining important visitors from Boston and New York. And they encouraged a proper marriage with a wealthy husband. Eventually, she lived in Burlington and Swanton as well as Westminster and she attended the Middlebury Seminary. She also often assisted her stepfather on his house calls in rural Vermont and saw first hand how difficult life could be outside of her sphere. This must have shaped her thinking about what kind of life she wanted to lead. At age 23, she asked her parents if she might go to Montreal to learn French at the Convent of the Congregation. She wanted a total immersion experience. Fanny, who made no secret of her unbelief in Christianity, was not a successful student and was to be sent home after a few weeks. Yet one teacher took an interest in her and after Fanny had a religious vision she asked this teacher if she could be instructed in Catholicism. 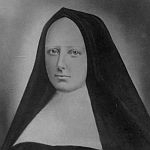 Fanny and her parents struggled with this, but finally Fanny won out and entered the Hotel-Dieu as a novice to become a nun and a member of the Hospital Sisters of St. Joseph. For eleven years Fanny Allen ministered to the sick and dying. During the war of 1812, she nursed British soldiers who had been injured while fighting her American compatriots. They didn’t know that a famous American rebel’s daughter was caring for them. She also was a religious example for others. One friend built the first Catholic church in New Hampshire and another gave away his wealth and devoted his days to the poor as Fanny had done. In 1819, she collapsed with a lung infection and died within days at age 35. So her short life might have been forgotten, but in 1894, the Hospital Sisters of St. Joseph founded the Fanny Allen Hospital in memory of her work – on land once owned by her family, and not far from the Ethan Allen Homestead in the Intervale.